The world is in turmoil. This might seem like a rather obvious statement considering the recent political and social scenario, both in India and abroad. Unfortunately, young people in the country, including students, are not insulated from the effects of decisions often taken in chambers beyond their reach and control. One particularly frightening effect is the very real threat to their bodily security on a day to day basis. From campus shootings perpetrated by gunmen who are not a part of the university ecosystem to their fellow scholars harassing them on their way from hostel to class, students, especially those that already come from vulnerable communities, are increasingly exposed to danger. Now, we live in a world that is not foolproof. It is not possible for any institution to absolute guarantee against Acts of God or unpredictable events. But that does not mean that safeguards cannot be put in place. Preparation is key. Having an action plan in place is half the battle when the unthinkable happens. Adhering to a plan of action might result in saving very real lives and ensuring students on a campus get home. A university management software is not just a platform that can help manage the academic side of things in an institution, but a system that can help you manage many eventualities. These include security concerns that the modern day educational institution might have. Below are four features the university management software has that will help you kickstart building a response protocol to security threats at your university, school, or college. A university management software must provide access to administrators, security personnel, or other authorities easy access to guardian details for their students. Whether it is something as benign as a student who is under the weather needing a ride home from the university clinic or a circumstance where next of kin needs to be contacted by the authorities, having one window access to guardian details in your university management software is a must. Mobile phones are a necessary evil and a ubiquitous one on any university campus in this day and age. While professors loathe them for the easy escape they become for an easily distracted classroom, a university management software that is powered to send out automated text messages to students and parents is a godsend in times of security crises. 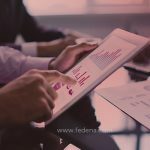 Fedena is a university management software where this can be easily set up. A university management system that allows regular campus updates can have a wide range of applications – from keeping students in the loop on a day to day campus activities to serving as a quick campus-wide messaging system. In case of a security breach, it is an easy way to let students check for updates across devices. This is especially useful in case mobile networks are down making individual SMS alerts useless. At the end of the day, we all want to get home safe and sound. A university often has their internal bus, metro, or carpool services offered to students who live off campus and commute in every day. A university management system that allows tracking of these vehicles across devices and platforms is not just useful for a student who wants to know when the next bus arrives at their nearest stop but also serves as valuable information for people looking for a safe ride home.